Services offered : AC, telephone, TV, mini bar, room service, doctor-on-call, laundry service, outdoor swimming pool, outdoor jacuzzi, , currency exchange, travel assistance, business conferencing, and etc. Nearby attractions:City Palace, Jantar Mantar, Hawa Mahal, Ram Niwas Bagh, Amer Fort, Jaigarh Fort, Nahargarh Fort, Jain Temple and Birla Planetarium. A member of Preferred Hotels & Resorts, the Samode Palace of Jaipur is counted among some of the best heritage hotels of the world. Winner of the best heritage hotel of the country for five consecutive years, the Samode Palace is the hotel accommodating guests seeking high standard of Rajasthani royal hospitality and a perfect rendezvous with the historical and cultural insight of Rajasthan. 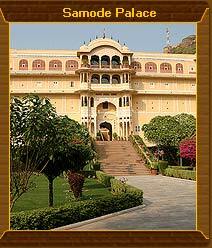 43 rooms of the heritage hotel, Samode Palace, are divided into various category. There are 25 deluxe rooms, 15 deluxe suites and 3 royal suites  all three are specially set to fulfill the diverse requirements of guests. Architecturally elegant, each of the rooms of the hotel are adorned with finest fabrics, wood work and marble work. The restaurant of the Samode Palace serves foods of cuisine ranging from Indian, Continental, Asian to European. 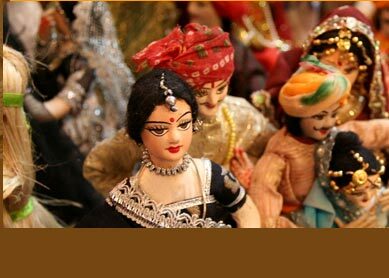 The best guests can savour here are, of course, its royal Rajasthani food. The bar stocked with exotic wine, whiskey, scotch and vodka add greater value to the restaurant. The other facilities that guests of the Samode palace are privileged to enjoy include AC, telephone, TV, mini bar, room service, doctor-on-call, laundry service, outdoor swimming pool, outdoor jacuzzi, , currency exchange, travel assistance, business conferencing, and etc. Officials of the Samode Palace organise camel safari, jeep safari and horse safari. The safari ride is full of fun as it gives tourists the best way to experience the cultural and historical richness of the Pink City and its close by places. 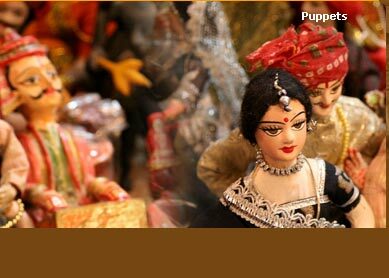 The travel assistance is provided to every guest to enjoy sightseeing tour of the world famous historical city, Jaipur. Discovering Jaipur, one of the most visited tourist city of India, constitute a great joy for tourists coming from all over the world.